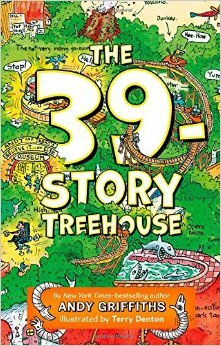 The 39-Story Treehouse is one of the books I got for my birthday this year! 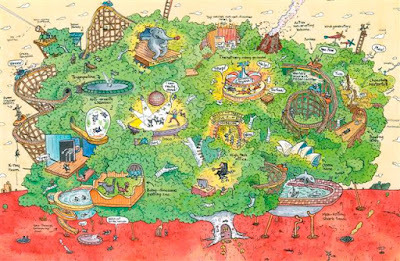 This book is about two kids named Andy and Terry, who now live in a 39 story treehouse. The 39th level is a story-maker--you type in what you want, pull the levers, and it writes a story for you. They write the story, but when they go outside to go to their friend Jill's house, the story-maker locks them out. They go to Jill's house and they tell her about their problem. She lets them stay over for the night and stay in her house, crowded with animals. They figure out that they need to go get the famous un-inventor who got sent to the moon. They need to try to convince the un-inventor to un-invent the story-writer machine. Will he help them? I really liked this book because I like all the new levels that Andy and Terry have added to their treehouse. 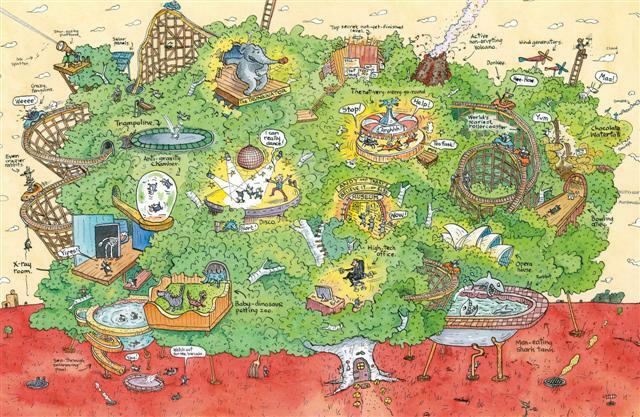 Some of the new levels are the boxing elephant named the Trunkinator, a non-erupting active volcano, and a giant roller coaster. I also like the book because Andy and Terry are always getting themselves into trouble and have to figure out how to solve it. I'm really excited to read the next book, the 52-Story Treehouse!